Over 250,000 students use Topgrade to improve their exam results. 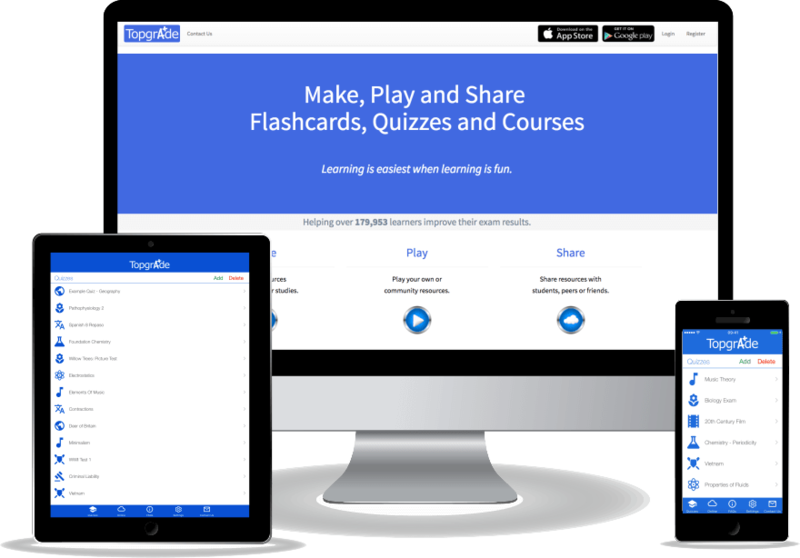 Start creating quizzes, courses and flashcards to help you learn. Whether you're studying for an exam, learning a language or training your workforce Topgrade can help. 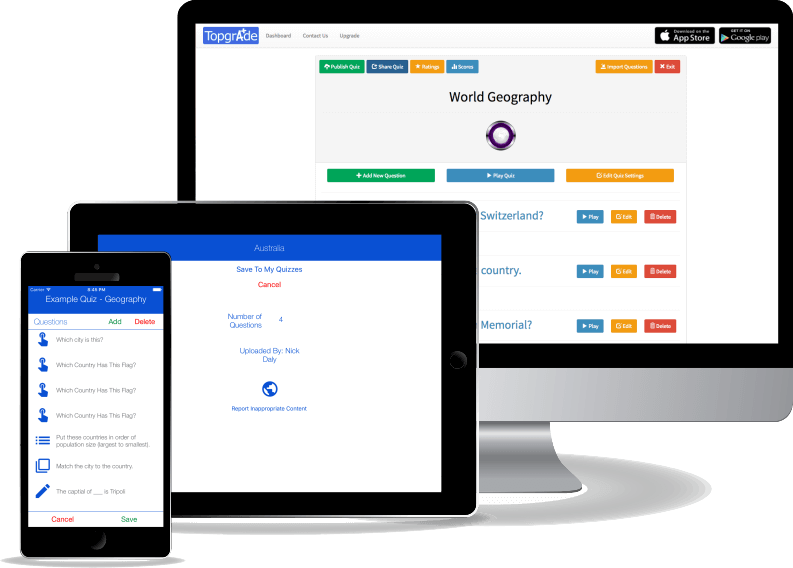 Use Topgrade to make learning easier, quicker and more enjoyable. You can create an unlimited number of resources to help you learn. Choose from several question types including multiple choice, fill-in-the-blank and matching. You're also able to add images and time limits to your questions. Best of all you can create resources anywhere and anytime, online or offline, via our Android and Apple apps. To get started select a resource to create. 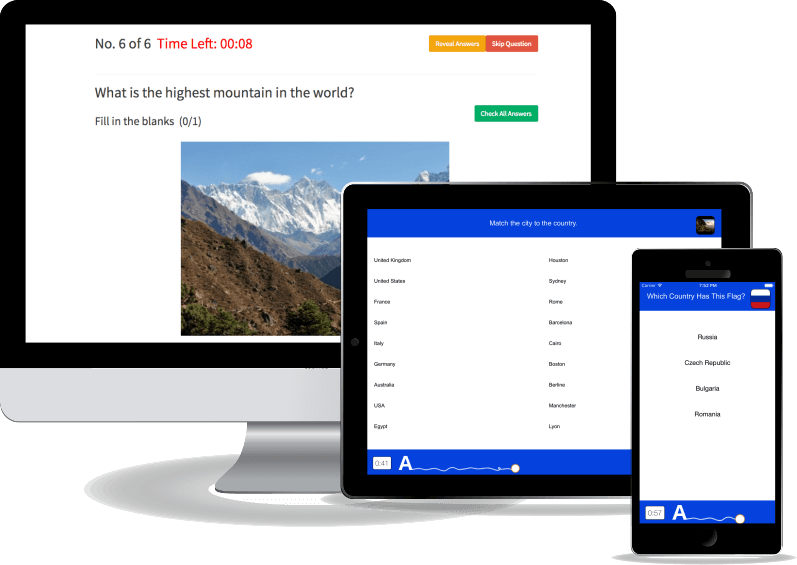 Play quizzes, courses and flashcards made by you, your teachers or friends. ✓ Scores are saved when learners are logged in. Share the quizzes, courses and flashcards you make with your peers, students or friends. ✓ Unlimited sharing of any resources.